The still air leaves Crooked Lake’s surface a sheet of glass. The Looksha’s hull cuts through reflections of puffy white clouds and blue sky. It feels like flying. There’s almost no sound, no motors whirling to life, no cars passing on a highway, no voices in the distance. There is only the splash of my paddle in the water. Looking out into the maze of islands, channels, and bays, I see nothing but their colors melting into the lake, smeared like paint across a canvas. No houses crowd the shoreline, no cell towers cut into the sky, nothing jars the illusion that the world is still wild. We need places like this, places where the world feels untouched, places left wild from the sky above to the water below. Places to hum and paddle and feel alive. Posted in Angle to Key WestTagged AKW July, Angle to Key West, quiet, sky, Water, wild, wildernessBookmark the permalink. Or about food. I make up songs about food all the time. I’m cooking and enjoying it so much these days… paddle on in to Tampa and the meal is on us. 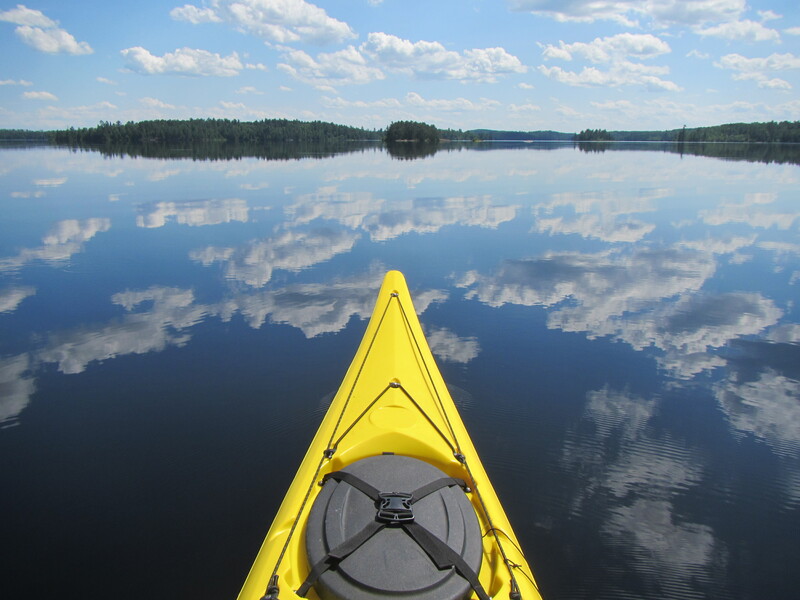 It is great to kayak anywhere….Enjoy the good life…. That is an awesome photo! It would be great on a calendar – you should submit it to Paddling.net, their calendar is hanging in my office (I’m looking at it now)!